The UK's peatlands are leaking "huge" amounts of carbon dioxide, making it harder to tackle climate change, a report has warned. The International Union for the Conservation of Nature (IUCN) said peatlands were a "Cinderella" habitat which was "overlooked and undervalued". 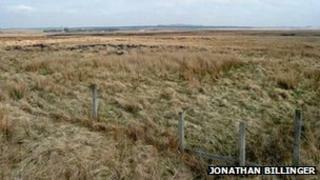 About half of the UK's three billion tonnes of peatland carbon is found in Scotland, according to the report. Peatlands are formed as plants die and decay in water-logged conditions. They cover less than 3% of the land surface of Earth in total, but are thought to contain twice as much carbon as the world's forests. The Flow Country, in the far north of Scotland, is one of the world's largest areas of peatlands and also provides habitat for otters and birds. IUCN's report said the loss of only 5% of the carbon stored in peat would equate to the UK's total annual greenhouse gas emissions. Damaged peatlands can also increase costs for water companies because discoloured, peaty water has to be treated before it reaches consumers. The report's authors said their research highlighted the need to protect healthy peatlands and work to restore areas that have been damaged. Jonathan Hughes, director of conservation at the Scottish Wildlife Trust, said: "We've always had a strong environmental case for investment in peatlands, but with this landmark publication from the IUCN UK Peatland Programme, we now have a clear and compelling economic case too."